Please email me at info@crowncritters.com if you are interested in adopting this cute little fellow. 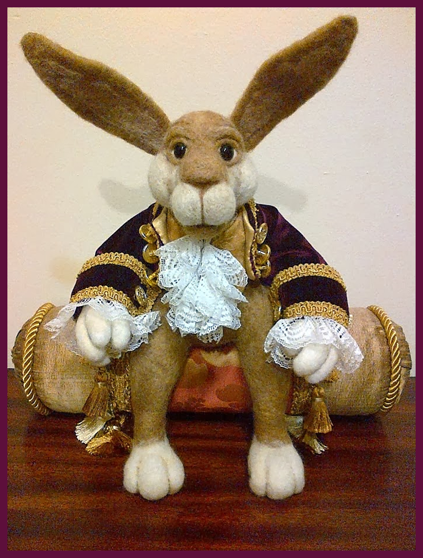 I am very pleased to introduce my latest creation, Rupert. 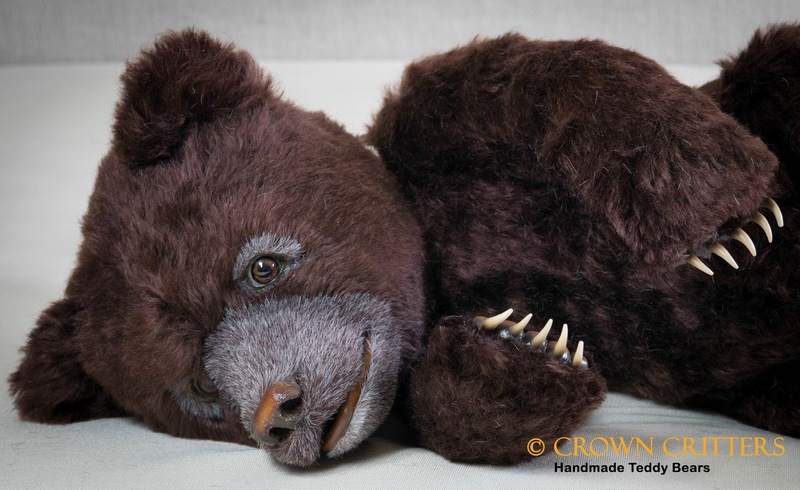 He is a one of a kind, handmade teddy bear with realistic features. 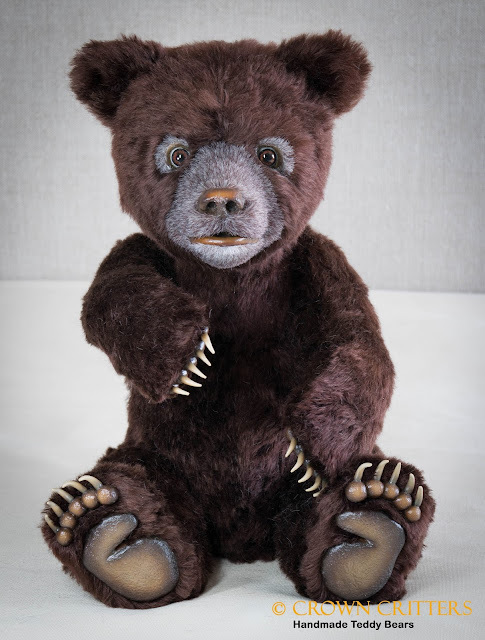 Rupert is made from dense, mohair. I hand dyed the mohair myself. 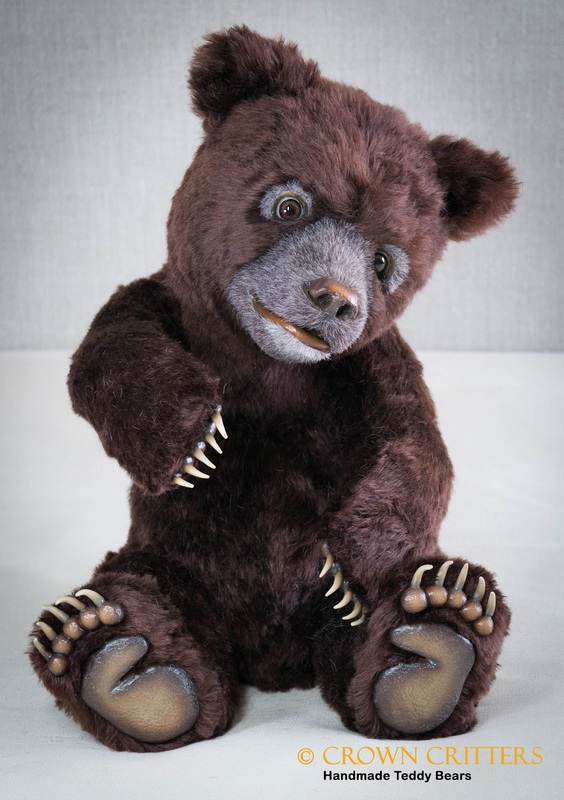 His silicone sculpted paws have been detailed with airbrushing and hand shaded using various pigments of artist ink and then sealed. 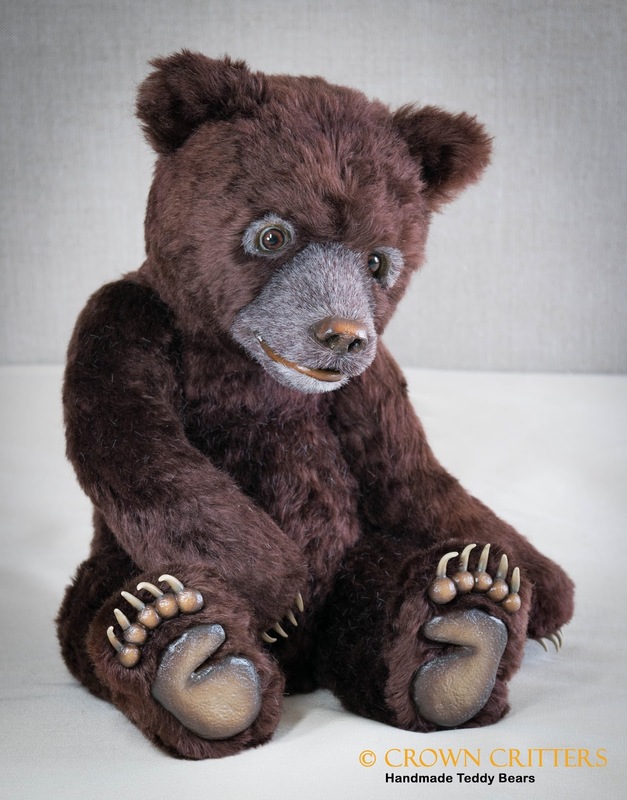 He has glass eyes and his hands and feet have realistic claws that are hand made from epoxy clay. He has four joints and his neck, arms and back have armature to hold almost any pose. He does not have a traditional neck that turns from side to side. Because of the armature his head is able to move up and down and swivel side to side for more realistic movement. Rupert is stuffed with a mixture of polyfil and plastic pellets to add some weight. 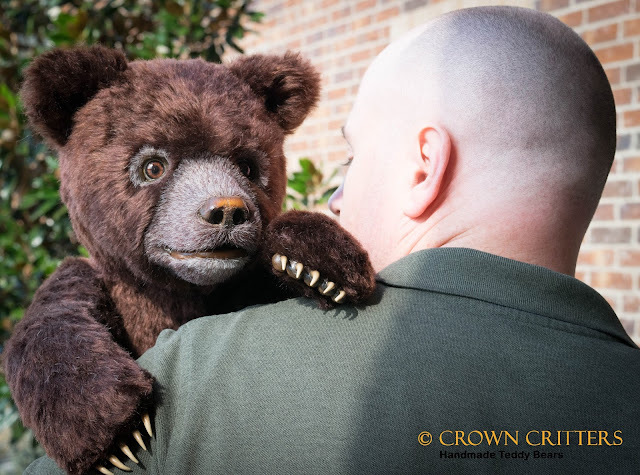 Many hours go into every aspect of the hand construction of one of my bears from the beginning stages to the finishing touches. I strive to bring my creations to life and I hope you agree that it is worth the countless hours. 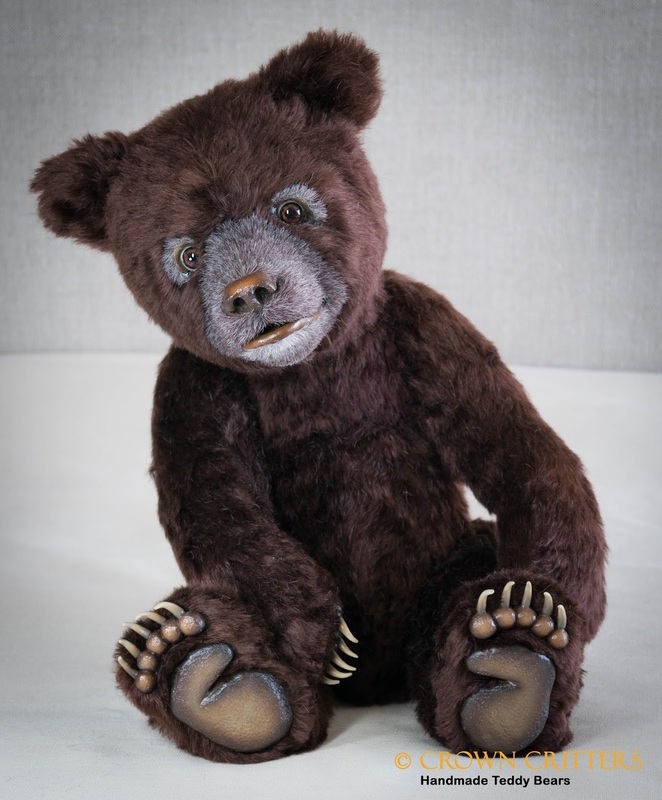 It really is a labor of love and I know you will enjoy adding him to your collection. 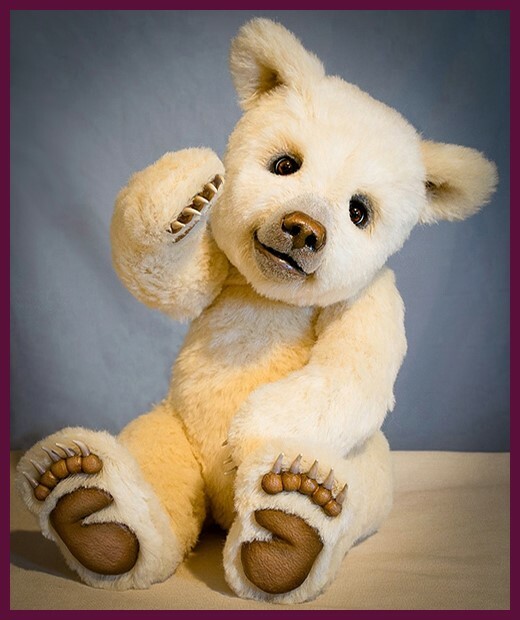 Rupert has been hand signed by me, Anthony von Reichert and will come with an artist certificate. 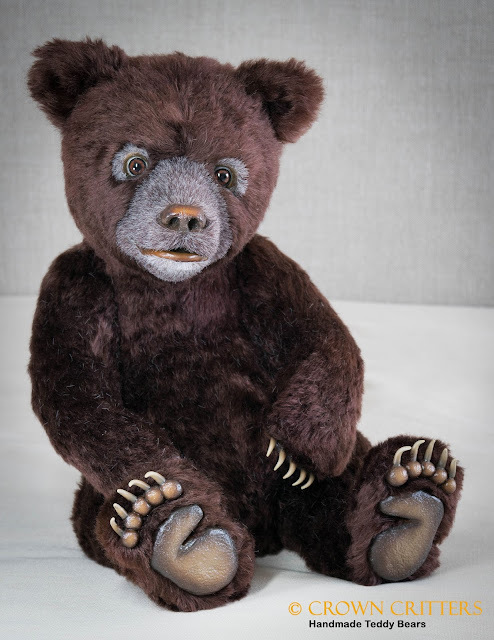 Rupert comes from a smoke free home and I do not spray any perfumes or scents on my bears. 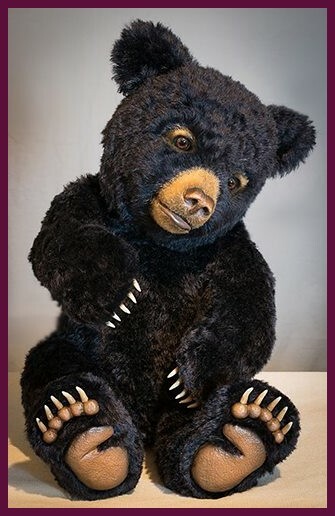 Please note: My bears and critters are collectible items and are not intended to be purchased as toys. They contain small pieces that could be a choking hazard for children. Shipping is free (domestic and international). Shipping will include insurance for loss or damage during transit. Shipping is done within 1-3 business days after payment has been received. While I will get your package to the mail within 3 business days, I am not responsible for shipping delays caused by third parties. 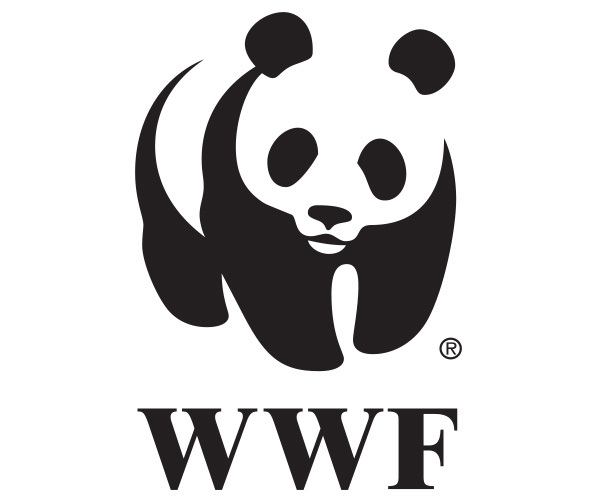 - Be aware of customs fees charged by your country. 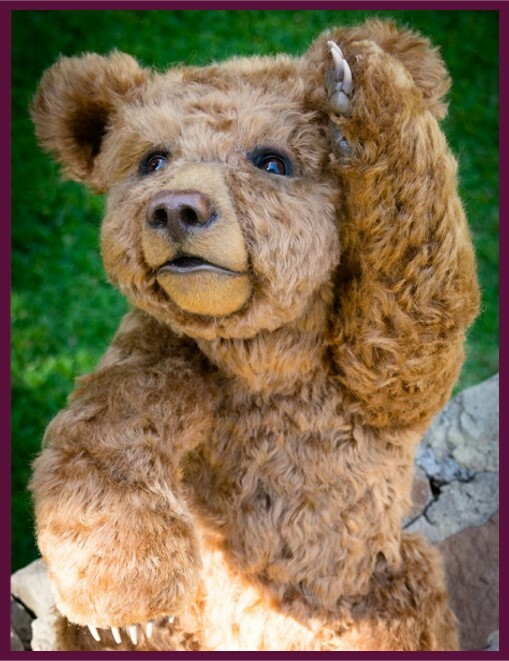 I can not devalue a bear, or change customs forms.